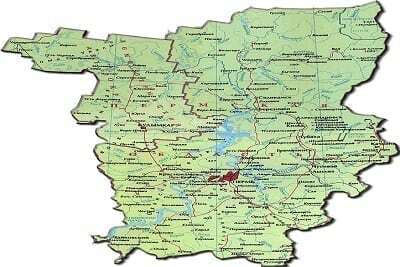 Perm region is famous for many treasures it keeps possession of, and stone carvers are just the same treasure of Perm region as Perm ballet, oil, potassium salt and Perm wooden Gods sculptures. 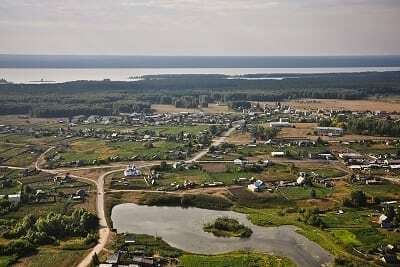 When God handed out his resources, he cared about Orda district as well: just along the narrow bank of the Iren River, the path just several kilometers long, he placed stone deposits of honey color – selenite. Nearby he scattered deposits of anhydrite and soapstone. And in the end of 19th century God put some Ekaterinburg entrepreneurs wise to teach local peasants the stone carving craft. That is the where the first stone carving artisans started from. 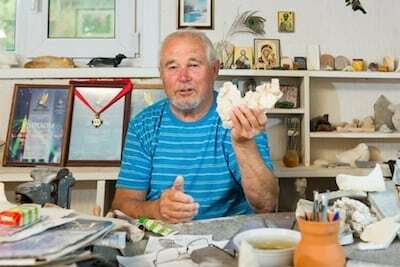 Perm district council supported the stone carving artisanship and they invited master Semerikov from Saint-Petersburg to teach peasants to work with the stones. It was in 1930 when in Perm region they opened the first school of art processing of soft stones named “Professional courses of stone carving artists”. It was founded by the same Ivan Semerikov who later became the technical manager of the State joint stock “the Russian semi-precious stones”. Apparently, he encouraged the famous Peter Kremlev, a chief stone carver at Faberge plant, to arrive. The 1930s became the years when Perm stone carvers became famous world-wide. In 1948, they started a new page of history in Orda stone carving craftsmanship named “expansion”. 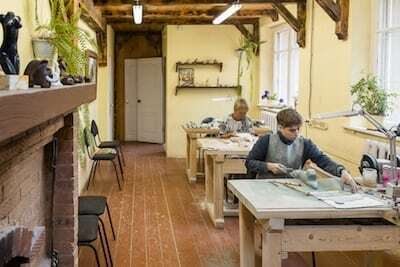 They started to send the local handymen to different regions of the country to raise stone carving craftsmanship: to Kaliningrad region, to Krasnodar, Arzamas, Archangelsk, Nizhniy Tagil, and Chita. Together with that craft schools and college graduates from the capital started to arrive here. In the 1950-1960s, they formed a new generation of craft schools and college graduates in stone carving artisanship. Anatoly M. Ovchinnikov was the brightest person among them, whose works were copied in abundance and were sold not only inside Russia but abroad as well. His influence on the craftsmanship was more profound than that of Faberge masters, and since that time Perm stone carvers acquired their own style. It was just the time when stone products became the stone masterpieces: they grew exquisite, simple and graceful. They were highly praised by art experts from Moscow and galleries and museums started to purchase them. The title of stone carving craftsmanship center still belongs in Perm region. In Prikamie there is a union of highly qualified masters whose works are admiring, amazing and inspiring. They can breathe in life into cold stone. Orda stone carving is a unique technology and school that many regions in Russia would be proud of and would try to exhibit. But it is only Perm region to be lucky. Nowadays the state of Perm stone carving craftsmanship can be characterized as stagnated, from Latin “stagnation”, which means “still water”. It has been 10 years already that everything remains as it was. There are high quality masters who work for collectors only and carve VIP gifts, they are not more 10 persons, including those living in Kungur. There are some workrooms that send painted trifles to the souvenir shops. And now there appeared a strong player that can change everything. In spring 2014 in Perm region of Orda district they opened new stone carving production, and that became a landmark event in the life of the village. The fact that Anatoly M.Ovchinnikov, the legendary stone carver, gave his consent to become the chief artist, made them optimistic. The staff of the new production named Art Sky is made of the director (Anatoly Vakhrushev), three stone carvers and the chief artist. Five persons is the total number, but they can breathe in life into the fading craftsmanship.